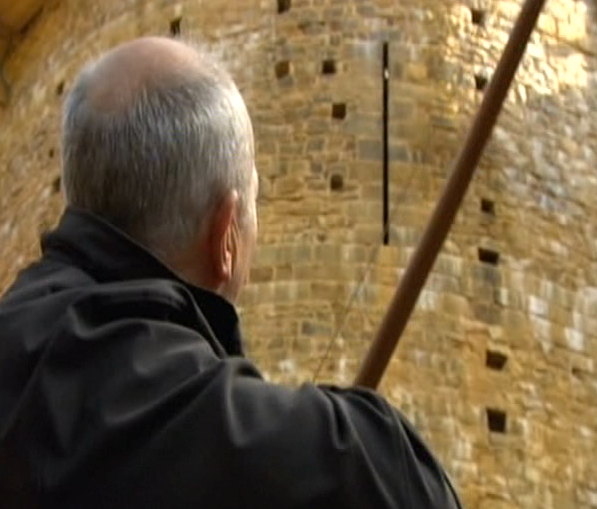 Mike grew up very close to a castle – Castle Rising in Norfolk. It inspired him as a boy, where it was both a playground and a portal into history. Castles continue to captivate his imagination. 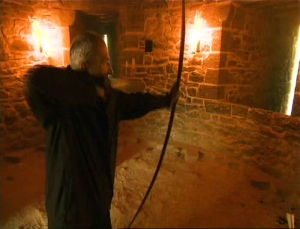 He has visited literally hundreds of castles throughout Europe and made many television appearances talking about them. All castles are of interest but the smaller scale, family dwellings, like Castle Rising, are his particular favourites. 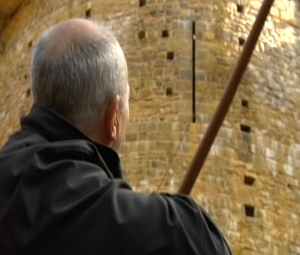 He feels especially strongly about the way that castles are misrepresented in film and television drama. Castles did not exist in the Middle Ages as the foreboding grey edifices that cinema cliché would have us believe. Instead the interior walls, and sometimes also the exterior walls, were plastered and painted. Once castles fell into disuse and the roofs fell into disrepair, the elements washed away all the plaster and all the colour. It is as simple as that. The grey stones are just the skeletons of what were once beautiful homes, as well as fortifications. There is no doubt that the remains of ruined castles still hold a stark, sculptural beauty and they can be admired for that but this should not be confused with they way they looked in their prime. An especially proud moment was when Mike got to lay a stone at Guédelon in France. 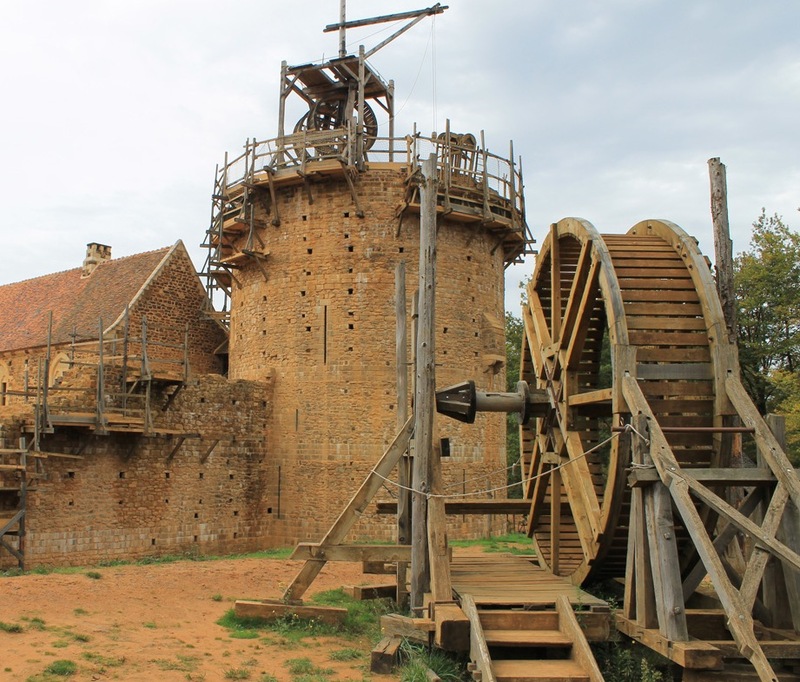 Guédelon (pictured) is a wonderful project. They are building a faithful replica of a 14th century castle, using only authentic materials, authentic tools and authentic techniques. It is a truly beautiful and inspiring place. As well as having hands-on experience with some of the building techniques, including walking in the treadwheel crane to winch up stone for the upper levels, Mike also got to shoot through the arrow loops, have a close shave with some rocks dropped from above through a murder hole and attack the walls by escalade. Any interest in castles has to go hand in hand with an interest in siege techniques. 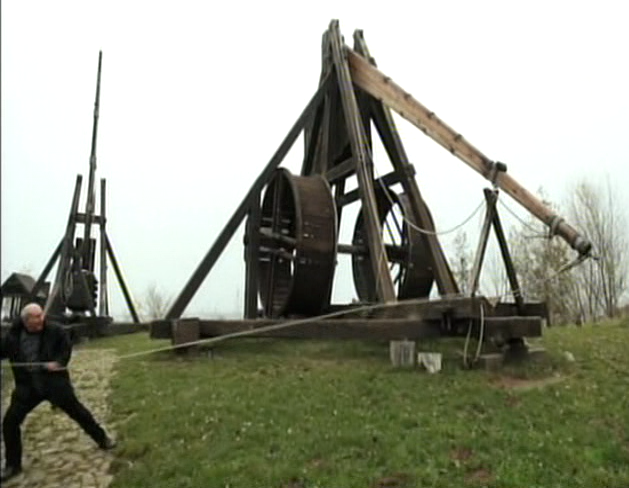 Alongside escalade and mining, the most common form of assault was to hurl rocks at the walls with trebuchets. 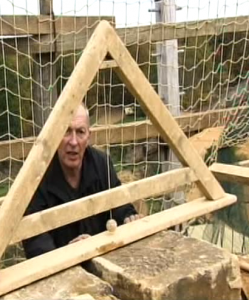 Mike has been lucky enough to play with the great trebuchets at the Middelaldercentret in Denmark on several occasions. They are powerful and intimidating weapons. They are also the greatest fun!